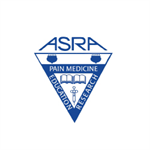 The Ultrasound-Guided Regional Anesthesia (UGRA) Education and Clinical Training Portfolio is a joint initiative from ASA and the American Society of Regional Anesthesia and Pain Medicine (ASRA) designed for anesthesiologists who wish to distinguish themselves in the field and provide evidence of training and experience to share with employers. 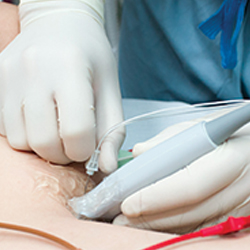 The Ultrasound-Guided Regional Anesthesia (UGRA) Education and Clinical Training Portfolio is a joint initiative from ASA and the American Society of Regional Anesthesia and Pain Medicine (ASRA) designed for anesthesiologists who wish to distinguish themselves in the field and provide evidence of training and experience to share with employers. The program guides participants through specific criteria to demonstrate knowledge and achievement in UGRA procedures. The program requires participants to progressively build knowledge through participation in specific CME activities and validate experience via case log documentation. The completed portfolio contains data that defines all UGRA achievements, the criteria required to meet the achievement and evidence of how those criteria were met. The portfolio does not intend to restrict the practice of UGRA, nor does participation ensure competency or certification in the performance of UGRA techniques. Valid license to practice medicine at the time of application. Applicants with a temporary medical license and enrolled in a training program accredited by the Accreditation Council for Graduate Medical Education (ACGME) must submit a letter from their program director attesting to and verifying this information. The letter must be on appropriate letterhead and include the ACGME program number. Non-North American trained physicians must provide equivalent documentation of permission to practice medicine in the country of principal residence. All documentation must be provided in English. *Credit will be given to pre-determined lectures provided by (or endorsed by) the American Society of Regional Anesthesia and Pain Medicine or the American Society of Anesthesiologists. *Credit will be given to pre-determined workshops provided by (or endorsed by) theAmerican Society of Regional Anesthesia and Pain Medicine or the American Society of Anesthesiologists. 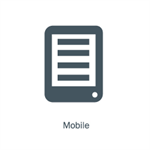 Additional Application details or lists of approved Didactic & Technical Skills courses can be found here. *Self-performed case log should be submitted after attending preapproved didactic sessions, participating in preapproved technical skills workshops, and passing the knowledge-based examination (see below). The case log must be accompanied with a letter from the department chairman, practice chair, or ultrasound-guided regional anesthesia (UGRA) practice coordinator attesting to the candidate’s clinical experience. †Cases within the case log must be available for confirmation and random audit. Register, attend, and acquire CME credit for pre-determined didactic sessions and technical skills workshops at ASRA, ASA, or other pre-approved meetings. *If you do not see UGRA sessions that you attended that meet the content criteria, call the sponsoring organization to submit those sessions for approval in the UGRA Portfolio program. Tell them it is free to submit. Submit final application, case log of self-performed UGRA nerve blocks (N=40) and certified letter by department chair, practice chair, or ultrasound-guided regional anesthesia (UGRA) practice coordinator to the ASA office. Receive certificate of completion of the ASRA-ASA Ultrasound-Guided Regional Anesthesia Education and Clinical Training Portfolio upon confirmation that all required components of participation have been satisfactorily completed. John Antonakakis, M.D., Richard Brull, M.D., Joseph M. Neal, M.D., Brian D. Sites, M.D., Francis V. Salinas, M.D., Ban Tsui, M.D., Steven R. Clendenen, M.D., J.C. Gerancher, M.D., James R. Hebl, M.D., Dan Kopacz, M.D., Sandra L. Kopp, M.D., Spencer S. Liu, M.D. and Anahi Perlas, M.D. have reported no financial relationships with commerical interests. Vincent W.S. Chan, M.D. reported that he received material support from SonoSite, GE, Ultrasonix and BK Medical. David B. Auyong, M.D. reported that he received funded research from Sonosite, and honoraria from Sonosite and Kimberly Clark. Jean-Louis Horn, M.D. reported receiving Consulting Fees from I-Flow. Dolores Njoku, M.D. reported receiving royalties from McGraw-Hill Publishing Company. Brian C. Spence, M.D. has provided no disclosure information. Robert S. Weller, M.D. has reported receiving material support from I-Flow Corp.